Which One of These is Right Sized? Actually, both of them! 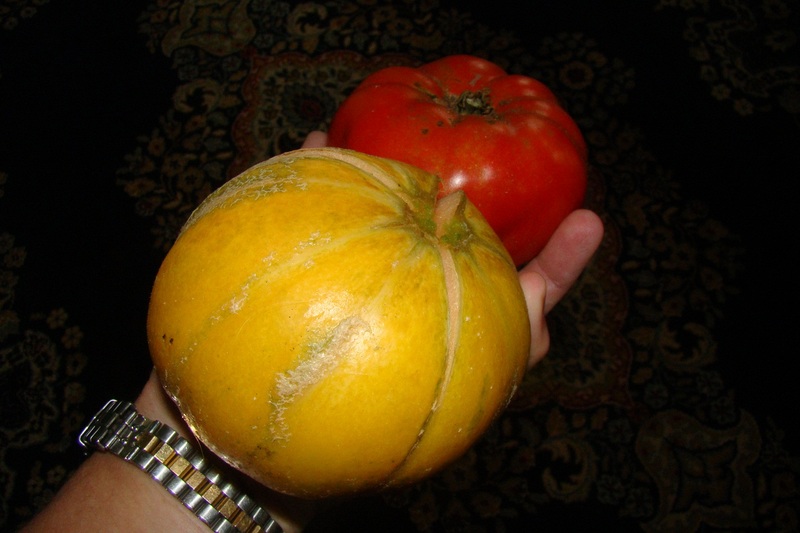 That’s a gorgeous brandywine tomato and our very first canteloupe of the season. It’s a small variety, like single serving sized. We’re also harvesting okra. The seeds were a gift. I am thinking we’ll fry some of it and I’ll make a batch of gumbo. Mmmm… gumbo! Previous They Grow Up So Quickly Next An Early Thanksgiving?